Bitcoin has come far in this past year. Almost exactly one year ago, the Bitcoin price was almost at the bottom of the largest prolonged slump in Bitcoin history, having fallen from an all-time high of $31.91 in June to a bottom of $1.994 on November 17. Media attention on Bitcoin was almost universally negative, and Wired even ran an article entitled “The Rise And Fall of Bitcoin“, leading many to think that the currency was by then essentially dead. But, as we now know, Bitcoin was far from over. After bottoming out just under $2, the price quickly rebounded, hitting a high of $7.22 when the currency was featured on an episode of The Good Wife, an American legal drama with over 10 million viewers. The price once again somewhat dropped from there, and remained stable around $5 for over three months, until it finally began to climb once again at the end of May. In the summer, propelled by another spike in media attention combined with an artificial boom induced by fraudulent Bitcoin Ponzi schemes, the price rose to briefly touch $15.4 before the Ponzi schemes collapsed, the media attention somewhat receded, and the price oscillated wildly for a few days before stabilizing at a price level of $10-$13, where it has remained since. The question that can be asked now is: Where is Bitcoin now? Is the Bitcoin economy headed for another recession, not quite as severe as that of 2011 but which may still bring the price to $5-$8? Is Bitcoin continuing to take off behind the scenes? Or is the reality somewhere in between? There are many ways to answer this question. One way is to look at the projects that are currently being developed in the Bitcoin community. One can, for example, see that a number of competing businesses are releasing ASIC-based Bitcoin mining hardware, that BitInstant is coming out with a Bitcoin debit card, that WordPress has started accepting Bitcoin, and that in September Bitcoin received its first inklings of government approval (a process which may only become easier with the advent of the Bitcoin Foundation). 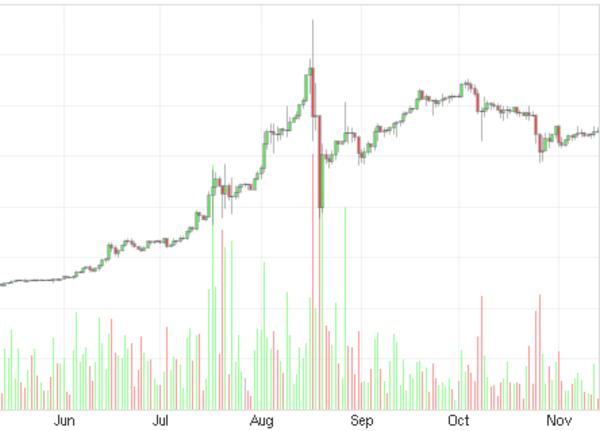 We can then use that information to conclude that Bitcoin is doing great and will only continue to rise through 2013. Alternatively, one can take a dimmer view and claim that nothing truly groundbreaking is taking place, and so the price will go down. However, what this article will focus on is evaluating Bitcoin by the numbers, and looking at what is happening to the various trends that have historically been highly correlated with Bitcoin’s success. Notice how precisely the trends volume followed along with the price all the way through the 2011 bubble and crash, the mini-bubble in January created by the Good Wife episode, and the period of stability that followed. Around May, however, the two started to diverge. Although the search volume did follow the price somewhat as the price rapidly increased to $13 over the summer, it did not pick up nearly as quickly. Since then, search volume has declined and essentially reverted to the same slowly increasing trendline that it has been on since November, but the price does not reflect this; if the correlation had remained, Bitcoin would be at $6, not at $11. There are several ways to explain the disparity. First, one could argue that we are still in a mini-bubble, and the price will indeed return to $6-$8 in due time. If you look closely, this is exactly what happened on a much smaller scale in January; the trends volume dipped first, then the price. Second, one could argue that the disparity is there because the market has already adjusted to the halving of the block reward that is due in early December. The fact that the disparity is almost exactly 2x strongly supports this hypothesis. Third, one could argue that this is the “natural” price, and the lower prices earlier this year were the result of market manipulation. This is also possible; many suspected Pirate, the operator of the Bitcoin Savings and Trust Ponzi scheme that collapsed in August, of somehow keeping the price down so that his BTC-denominated debts would not spiral out of control too quickly. Also, the period from September to May saw an easy way of “shorting”, or virtually holding negative quantities of, BTC with Bitcoinica, which likely had a significant downward effect on prices. Now, although some options for shorting exist, they are not nearly as popular. However, there is another question to ask: Has interest in Bitcoin really dropped back to its former trendline over the past two months? Although the Google Trends volume for “bitcoin” says yes, some secondary indicators offer a different result. Here is the trends volume for “buy bitcoins” – the volume has continued to increase in a linear fashion all the way through this summer’s mini-bubble and, although it is showing signs of a temporary slowdown, has not decreased at all. Also, it is not necessarily the case that there is any necessary relation between search volume and price at all. Consider the Tor-based online black market for illegal drugs, the Silk Road. Search volume for “silk road drugs” and “silk road bitcoin” barely increased at all in the period from January to July, and yet in reality we know that Silk Road’s volume has more than doubled over this period and is continuing to increase. In Silk Road’s case, the situation is of course somewhat unique, as once a user discovers Silk Road, all of their interactions with the site are through Tor and they have no reason to look up anything more on the public internet. But the same effect may be taking place to a much lesser extent with Bitcoin as well; once a user knows what Bitcoin is, they have little reason to search for it. Here are two charts showing the number of transactions that are taking place in the Bitcoin network. The chart on top provides a much more hopeful sign than the Google Trends evidence; although the number of transactions has been declining for the past few months, it is still far above the level at which it had stabilized this spring. In fact, if you look at the chart all the way from 2011, transaction levels remain far above even those seen at the peak of the June 2011 bubble. However, although the chart on the bottom is still more positive than the Google Trends volume, it does show a decline to the earlier trendline. The difference between the two charts is simple: SatoshiDice. The second chart was added by blockchain.info in June after the popular gambling site began to take up over half of the transactions on the Bitcoin network, and what it does is remove all transactions from the 100 Bitcoin addresses which contribute the most to the sum, including all of the addresses used by SatoshiDice. The question remains, however: Is removing SatoshiDice from the charts legitimate? Many would say yes. Unlike most other Bitcoin gambling games, SatoshiDice is played directly on the blockchain – in order to make a bet, you send a transaction to one of its addresses, and if you are lucky you immediately get more money back. Thus, it is argued, each transaction on SatoshiDice counts for much less economic activity than a transaction anywhere else. However, what this analysis misses is that even if its effect is exaggerated, SatoshiDice is a very significant Bitcoin business, and has earned 10,000 BTC over the past six months, or about $16,000 per month – roughly a third of the $30,000-$60,000 monthly fees earned by MtGox. As for transaction count, SatoshiDice transactions represent only 40% of all transactions coming to the top 100 addresses that the second chart removes – the rest is made up of 1VayNert, an address owned by the DeepBit mining pool, and various unknown users. Thus, it is not at all clear that the ratio of transaction count to “economic activity” is really all that different between the popular addresses and everyone else. This is by far the least rigorous of the numerical analyses due to the lack of data available, but as an indicator of the growth of Bitcoin as a whole it is arguably the most important one. A number of Bitcoin businesses are willing to share their sales volume, and these figures are much more positive. On Bitcoin Friday, a recent Bitcoin community-wide sale organized by Jon Holmquist, Bitcoin’s two largest payment processors, BitPay and WalletBit, reported a total of 196 transactions – not much, by large business standards, but more than any previous day in Bitcoin history for both companies. Volume on Coinabul, the gold and silver seller, has been increasing every month. BitPay, a payment processor handling sales for a number of Bitcoin businesses, has seen its volume increase from $170,000 in May to $550,000 in September. Recently, BitMit told Bitcoin Magazine that they have “more than doubled [their] trading volume from 1840 BTC to 4260 BTC” in October. SatoshiDice is remaining constant; its sales volume for the past 30 days is 181,362 BTC, compared to an average of 176,835 BTC per month over their entire 184 days of operation. It is important to keep in mind that kind of survey of businesses does have an intrinsic optimistic bias; businesses that are seeing their volume slowly decreasing are typically far less prominent in the media, and so a survey would be much more likely to miss them. However, the fact that aggregators like BitPay are also showing signs of growth is a sign that the growth shown here is more than just churn. At this moment, there are other factors that are heavily in Bitcoin’s favor. 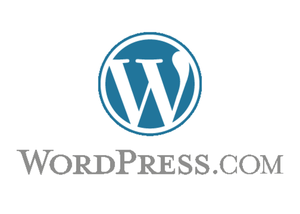 Only a few days ago, the Bitcoin community was joined by WordPress, its largest merchant yet. All in all, it is hard to tell what is happening with Bitcoin. Some indicators are showing that Bitcoin usage is remaining roughly stagnant, with a general trend of slow decline balanced out by sudden spikes of attention, while others imply that Bitcoin is stronger than ever. Although one can draw a near-term trend to suggest that the price is going down, a more long-term look shows that we are actually on a very slow and steady course upward, and the fact of Bitcoin’s WordPress acceptance suggests that Bitcoin is much more likely to keep its upward course than it is to go back down. All in all, Bitcoin may yet have a very bright future ahead.